Do you love noodles and want a healthy alternative? These raw daikon radish noodles are the answer! 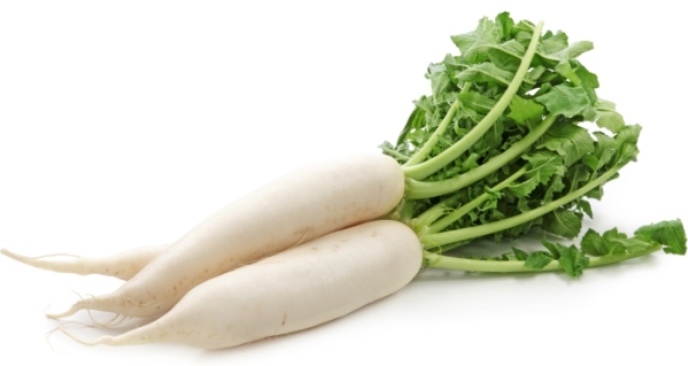 Daikon radishes are among the most nutritionally loaded yet low-calorie vegetables you can enjoy. This fantastic vegetable improves digestion and contains high amounts of potassium, vitamin C and phosphorus. It's so simple to make, you just need a spiralizer and 2 minutes of your time. Spiralize an organic raw daikon radish (if you have kids, then let them do it since this is always fun for them and they will love to eat what they help make). If some noodles are too long then use scissors to cut them to size. Serve with your favorite noodle sauce.